Date 27 September 2005 / 9 August 2008, based on the above flag law dated 25 Avril 1963. 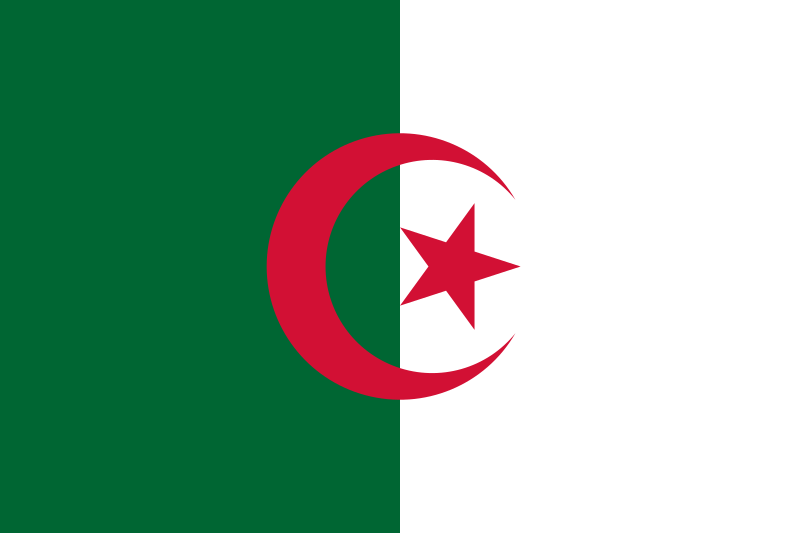 Source SVG implementation of the 63-145 Algerian law "on Characteristics of the Algerian national emblem"
Auteur This graphic was originaly Vectorisation : User:SKopp. actuel 10 mars 2019 à 00:14 900 × 600 (260 octet) AndreyKva Optimized. Ce document provient de « https://fr.wikipedia.org/wiki/Fichier:Flag_of_Algeria.svg ».